The federal government's proposed changes to tighten Canada's firearms laws don't go far enough, say Quebec advocates for stricter gun laws, including survivors of the mass shootings at Dawson College and École Polytechnique. The federal government's proposed changes to tighten Canada's firearms laws don't go far enough, say Quebec advocates for stricter gun control, including survivors of the mass shootings at Dawson College and École Polytechnique. Heidi Rathjen, a gun control activist and survivor of the 1989 Polytechnique massacre, said she felt "utter disappointment" after reviewing the proposed law, which she said offered "lots of concessions to the gun lobby." "Our impression when we look at the details is that it was specifically designed to look like they're doing something, but to minimize the ire of the gun lobby as much as possible," Rathjen, a spokesperson for the gun control group Poly Remembers, told CBC Montreal's Homerun. Public Safety Minister Ralph Goodale tabled Bill C-71 on Tuesday, which includes new provisions to "enhance" existing background checks for those seeking a firearms licence. Goodale also proposed changes to how vendors document the sale of firearms. While the proposed legislation reinstates an obligation for gun stores to keep records of all licensed gun sales, Rathjen said police access to those records has been restricted. She said Ottawa also failed to make private gun sales subject to similar record-keeping procedures. "Once you leave the store, you could sell them to anybody now and not leave a trace, which makes it really easy to feed into the black market," she said. "We want sales to be recorded. We want police to have access to them, and we want private sales to be included." Meaghan Hennegan, a former Dawson College student, welcomed the changes but said they don't go far enough. 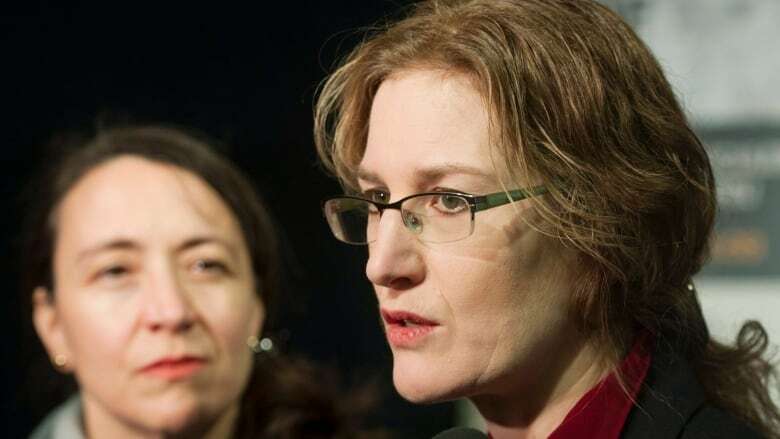 Ultimately, she said, she wants the national long-gun registry reinstated. She also wants certain weapons, including the one used in the 2006 Dawson shooting, "banned outright or moved back up to being restricted." Quebec adopted its own long-gun registry earlier this year, on Jan. 29 — the anniversary of the Quebec City mosque shooting. The service will be accessible online, and users will be be able to register for free. The province started working to create its own long-gun registry after the federal long-gun registry was dismantled in 2012. For their part, gun rights advocates argue the mandatory record-keeping provision for retailers in the new federal bill will simply lead to the establishment of a long-gun registry by another name. ​As promised during the last election campaign, however, the Liberals maintained they will not revive the previous long-gun registry. On Tuesday, Goodale said any discussion around gun control inevitably provokes heated rhetoric. "I've watched this issue for 40 years. There will be people who argue strenuously that what we're doing today is not nearly enough, and there will be those who will argue exactly the opposite," he said.